Sam, the next step is to use the past methane emissions to project the future emissions. This could be done very easily using basic exponential functions in a matlab type of program. With the starting point of your current arctic maps, an emission estimate can be made for the last few years, then using the IPCC approximate heating curves for the arctic, and a methane driven positive feedback factor, a family of curves can be generated using the matlab program. The "correct" feedback curve can be guessed by figuring the amount of warming potential from the given methane level, and a winter dilution factor. This "correct" curve will tell us when the drop dead date is, instead of the the simplistic 2047 date given in the September issue of Nature magazine. Anyone care to get going on this? I am reading all this stuff. 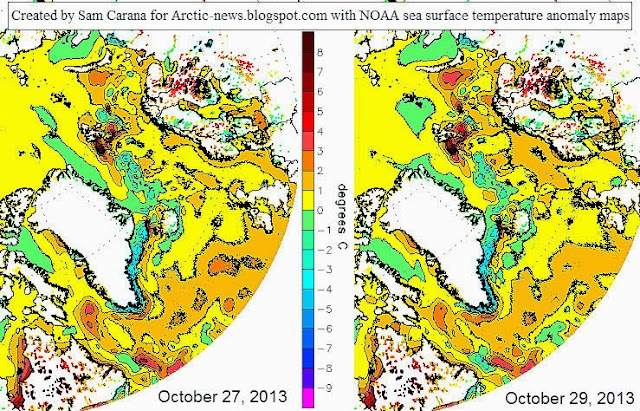 Many thanks must go to Arctic News generally for all the work done so far. I have been dropping the Arctic News link into papers comments sections ,in the hope that it will spread debate,maybe even more. 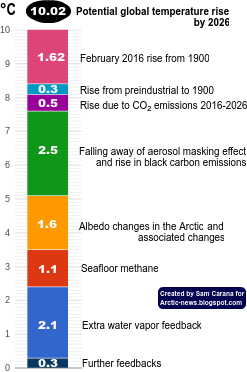 Maybe there's a way to neutralise the methane, it seems like that'd be the only practical option left once the arctic ice goes away. Maybe engineer bacteria that metabolise methane? 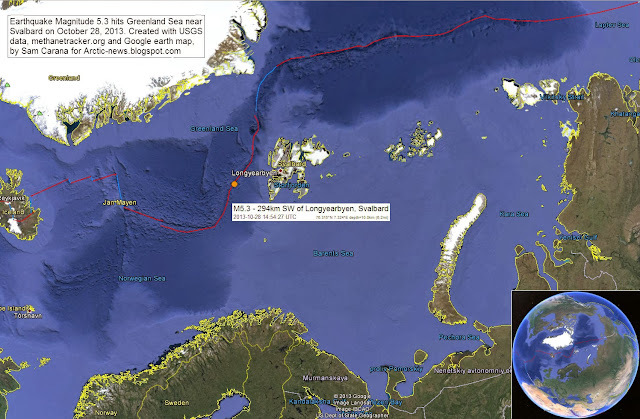 Some methods to enhance decomposition of methane have been suggested, such as decomposition in the water, described at Oxygenating the Arctic, and Decomposing atmospheric methane. Sadly, testing of such methods currently receive little or no funding. Further action will also help, as described at the Climate Plan blog. I agree about funding; I was asked to participate in a GA to engineer bacteria that would metabolise methane somehow (some reverse engineering of methanogens). That didn't go anywhere but I'd be open to it (see http://compbio.washington.edu for contact info). It has other implications beyond global warming. Anyways, I found the rest of your blog quite interesting. It's the first time I have seen it. I was looking for direct evidence of climate change on the effect of typhoon hainan and I found a nice image correlating the water temperatures in the ocean at 100m depth and the path of the typhoon. 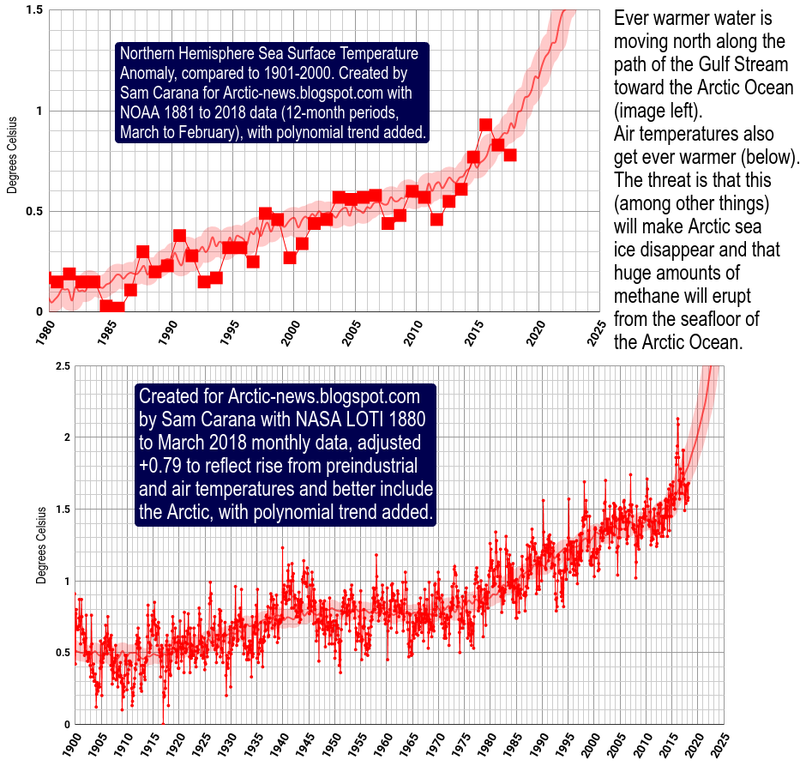 I'm looking forward (in a curios manner) to the day the arctic ice completely disappears and the methane release ends up being more aggressive than it has been. I see this as being inevitable --- humanity doesn't seem to have it takes to be proactive and instead will always be reactive. Thanks for the link, Ram. I think responding to climate change now, after decades of evidence, shouldn't be seen as proactive, but as responsible and justified. Such bacteria (methanotrophs) already exist. One could use synthetic biology to make the process more efficient. It would be just one step among many that could be taken, but it's something we have resources to do. 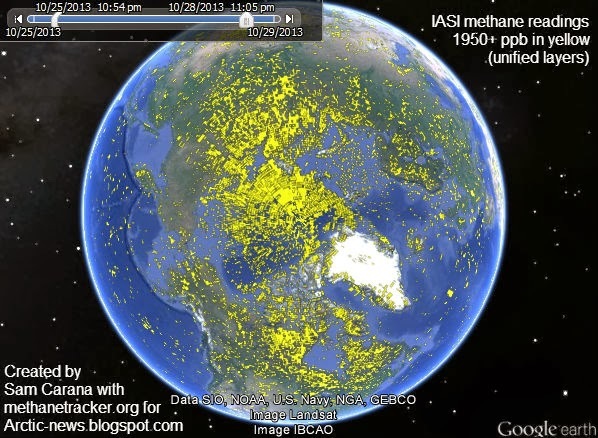 The comprehensive image to deal with methane is, well, very comprehensive. Again, I think people wouldn't fund it unless they realised the emergency for what it is. Yes, the key is to show how dire the situation is. That's what this blog is doing. Funding could be obtained in many ways, e.g. by imposing extra fees on internation flights. Aviation causes huge amounts of pollution and calls for compensation for the damage are justified. Actually, some flights should stop altogether, such as commercial flights crossing the Arctic.